The Smoke Joint | Oh No! Not Another NYC Food Blog! BBQ near a subway semi-dead zone in Boerum Hill. 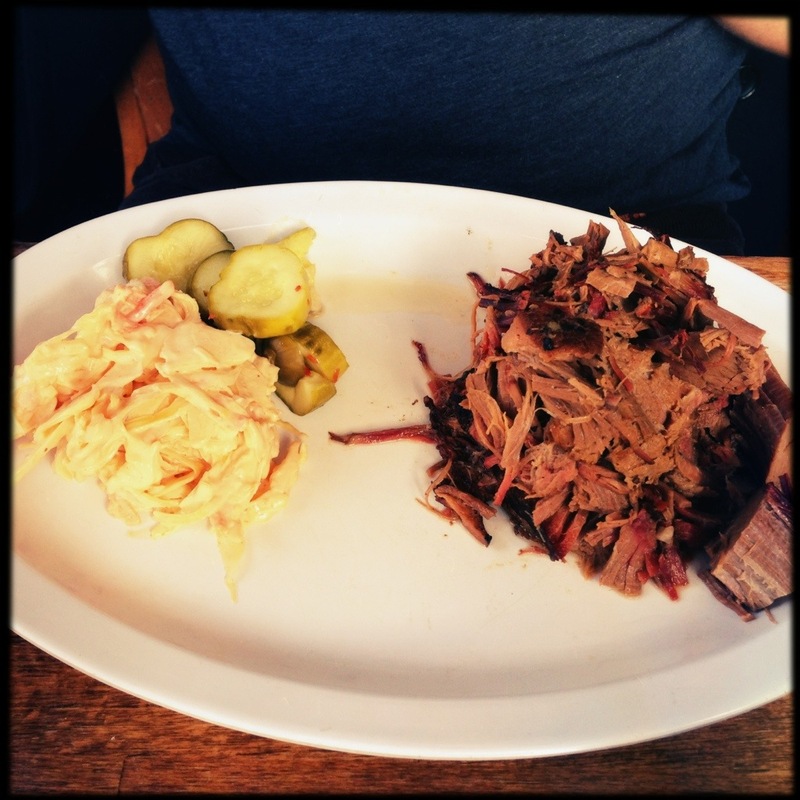 I had the pulled pork with slaw & pickles – Not too bad. Juicy, but underseasoned. 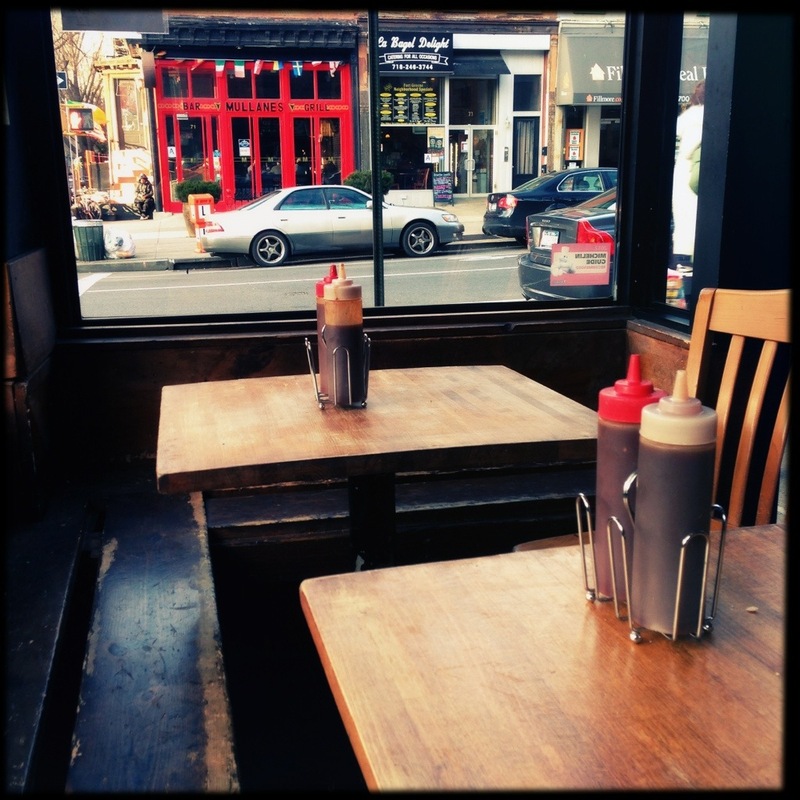 My DH had the BBQ beef brisket – Dry and joyless but at least it was edible when slathered in sauce. 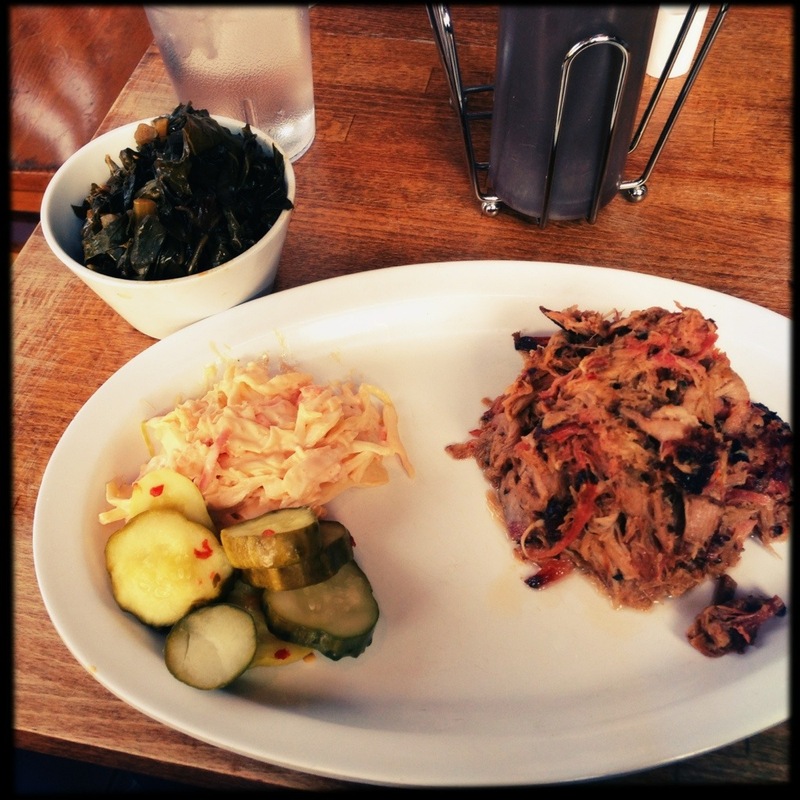 Collard greens – Odd but not terrible. Not the flavor profile I’m used to at a BBQ joint, but not bad. Decor is kinda cute – sunny lenai with homey feel. Service was busy but at least present. 2.75 out of 5 for so-so food and bad crowd management.